Axel Belmont, though a wealthy and much-respected botanist, occasionally takes a turn serving as magistrate in his rural corner of Oxfordshire. 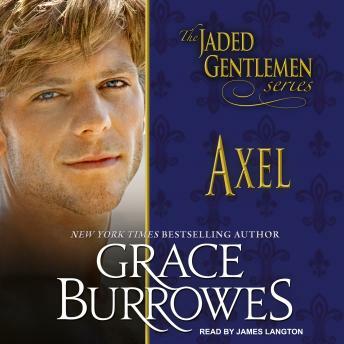 When the owner of a neighboring estate is the victim of a homicide, Axel initially suspects the man's much younger wife, Abigail Stoneleigh, of committing the crime. But then Abby appears to be in harm's way, and Axel's investigation uncovers longstanding deceptions aimed at cheating her out of wealth and happiness. The solution to this deadly puzzle remains elusive, even as Axel captures Abby's heart and surrenders his own. Axel is a fine investigator, a devoted father, a brilliant scientist, (and an excellent kisser), but will he solve the mystery before the villain strikes again?